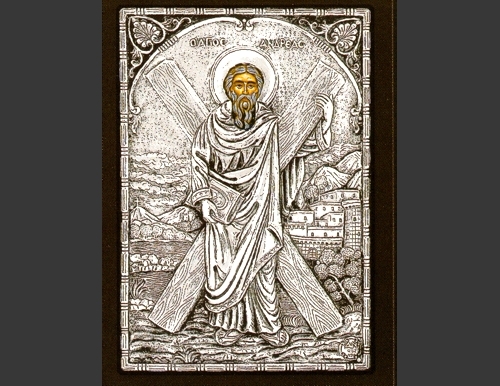 An exquisite silver Greek Orthodox icon of St. Andrew carrying the cross. 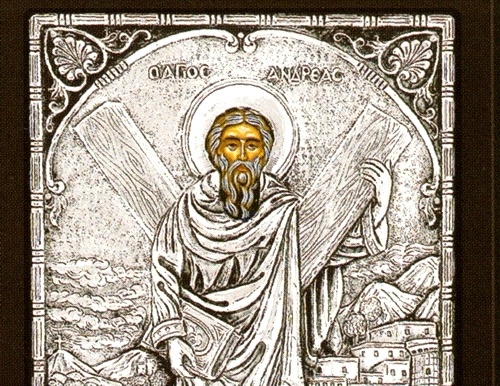 St. Andrew was one of the 12 Apostles and the brother of Saint Peter. He is considered the founder and the first bishop of the Church of Byzantium and is consequently the patron saint of the Ecumenical Patriarchate of Constantinople.